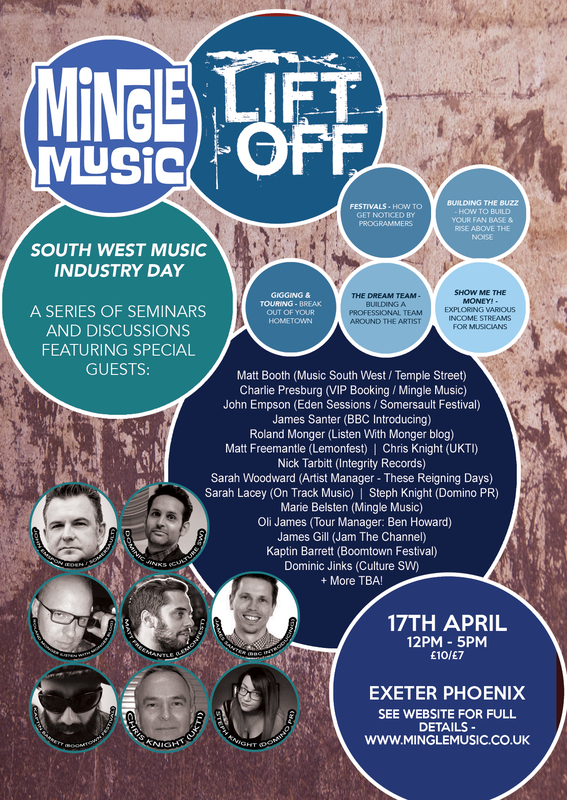 We were lucky enough to be asked to guest speak at this year’s Mingle Music South West Music Industry Day Event in Exeter. We sat on a panel of ‘dream team’ members which included John Empson, the founder of The Eden Sessions, Sarah Lacey from Oxjam Music Festival, Matt Freemantle from Lemonfest and many more band managers and PR agents. We were asked to speak about our roles in the music industry and then questioned by attendees of the event, who seeked advice on how to make it in the music business.